Have you ever held an object and felt something? Perhaps you’ve walked into an estate sale and picked something up and got a hit? Maybe it was a message? Or maybe it was just something that you could feel but you couldn’t quite describe. Experiencing this can be as simple as being a kid and slipping on one of your parent’s shoes. Sure, they are your Mom’s or Dad’s shoes but maybe you can perceive more. Did you? If you did, then maybe we should talk about Psychometry. The concept is that energy is still being held, or that it is still emanating from an object that you can sense. Psychometry is often defined as something paranormal. But I’d like to suggest to you that it isn’t. Psychometry as I’d like to define it; is energy that is attached to an item that can be sensed by another party who is sensitive enough to feel it. My intent in today’s podcast is to share with you how psychometery works and how you might begin experimenting with your abilities to read energy off of things. Psychometry is often defined as something paranormal. But I’d like to suggest to you that it isn’t. As a child I once had tropical goldfish. I had one goldfish in a gallon glass bowl. When the fish died, there was a very distinctive layer left inside the bowl. Scientifically, the scum inside my fish bowl was something that was easy to see and even measure. There was a thickness to the deposit. And biologically, there were individual particles that composed the layer. When you touch an object you leave many traces behind. It might be the oil from your skin, a fingerprint, or you can transfer something that you previously touched onto the object. Let’s use a super tangible with a physical example. A newly minted Silver Dollar is manufactured in such a way so that no human hands directly touch it. A new Silver Dollar is shipped within a rectangular shaped piece of cardboard, where a hole is cutout in the middle that is the exact size of the Silver Dollar. The cardboard holds the Silver Dollar and the whole configuration is wrapped in clear plastic that enables you to see both sides of the Silver Dollar while never allowing you to actually touch it. This is done to preserve the integrity of the newly minted coin. The oil from your skin, and the air itself, can tarnish silver so this means of manufacturing is done to preserve the newly factory-made coin. Coins that were made over 50 years ago look genuinely brand new in this style of packaging. The main thing to remember is that no one has ever touched the coin. When you rip open the plastic and tear away the cardboard you can touch the coin. The instant that you do, you’re leaving an imprint on the metal. And for my purposes of explanation of psychometry, it isn’t just your fingerprints, or the oil from your hands, or the paint you had on your hands before you touched the coin… it’s your energy. I think it’s kind of cool thing. You know, to feel something, and reflect what energies are associated with an item. Technically, we are just opening up the doors to being able to measure energies that haven’t been previously easy to observe. Today, we can pull DNA from a coin should someone have touched it while their finger was cut. Forensically, this permits us to not only see that the coin was touched but we can actually determine WHO touched it. A hundred years ago using DNA to determine exactly who touched the coin would have been considered magic or paranormal, but today its just science. What I want to present may not be scientifically measurable, YET but it will be in the future. Psychometry as I’d like to define it; is energy that is attached to an item that can be sensed by another party who is sensitive enough to feel it. My intent in today’s podcast is to share with you how psychometery works and how you might begin experimenting with your abilities to read energy off of things. When I was first stepped into my spiritual awareness, an individual very close to me, secretly set up several meetings with psychics to informally “test me” to see if I had supernatural gifts. I wasn’t consciously aware of the testing, as I thought I was just meeting people. One of the tests I took during the day was to determine if I had psychometric abilities. During this test, I was asked to close my eyes while certain objects were placed, one-at-a-time, into my hand. I was told to see, using my third eye, what things I saw in addition to feelings, messages that I might receive for each object. The first item that was placed into the palm of my hand was small, around the size of dime, but because I don’t have great sensitivity in that place in my hand I couldn’t touch or feel the item with my fingers. What I saw immediately in my third eye was easy. With my eyes closed, I described what was in my hand. This wasn’t just the physical nature of the item, although that was encouraged too, it was more about what other things I could bring to the surface. 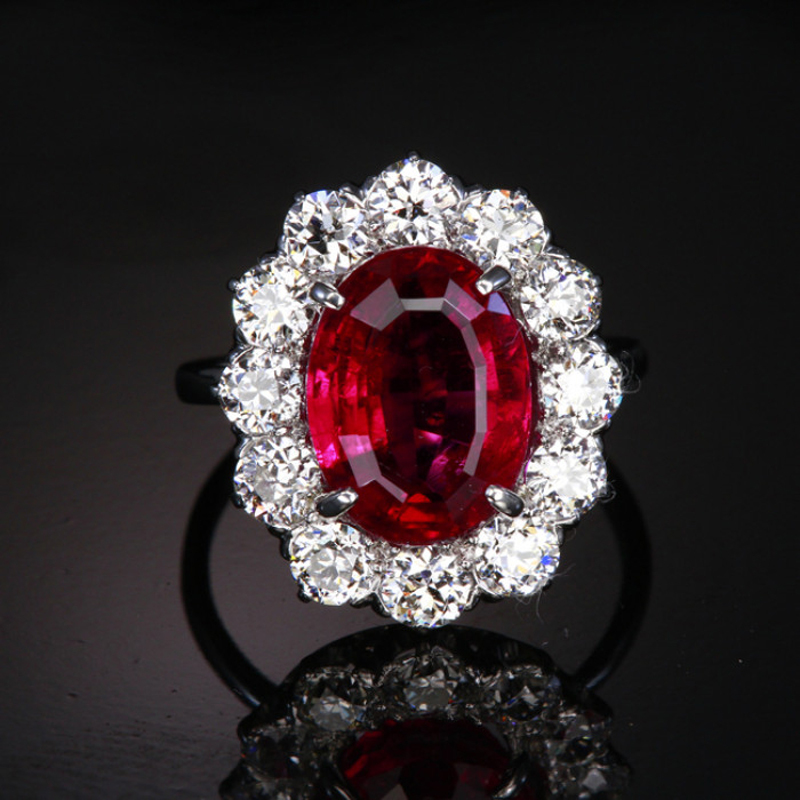 I described the item to be deep red, and that it felt like a gem stone, something that maybe had once been in a ring. Then, I went on to describe the ring and the person that wore it. When I was asked to open my eyes, my reviewer smiled as I then realized that I had been describing a topaz cut stone that was sitting in my midst of my hand. She added, “It was my mother’s. It was a part of her wedding ring and what you described is quite accurate right down to her physical stature.” I didn’t know what I’d done, and I certainly wasn’t familiar with the term psychometry. If you’ve been listening to my True Connections with Weston Jolly podcasts then you’ll recall, the Third Eye. Do you remember that I asked you to see what could see during the podcast? When you listened to episode 18, did you see any images? The reason I ask is because I left a spiritual fingerprint —in the form of a clairvoyant picture. Oh boy, I’m really opening up a can of worms. Because what I’ve just communicated to you is that spiritual energy can be consciously placed on something. Yep, that’s what I’m saying. In the same way that I can touch my finger in India Ink and then touch a dime. This goes way beyond the scope of basic psychometry but I do want to at least drop a hint about things yet to be discussed in your expanding your spiritual awareness. Focusing back on the basics of psychometry; how does it really work? Energy is a flow. Scientifically, we categorized energy in an attempt to understand it. Energy isn’t limited to a state. For example, water frozen in an ice tray makes ice cubes. Scientifically, this is recognized as an energetic state. Another state is watching boiling water disappear into steam. These two opposing states are used to categorize a molecule of water. What I really want to share is that water, as a molecule is in a constant state of change. The flow of these changes are repeated over and over again. When water flows from an artesian well there are characteristics that make it different than water flowing down a stream. Water coming from an artesian well is under pressure and it carries with it certain characteristics of the conditions associated with this process. Water trickling down a stream also has its individual characteristics. It too is navigating the earth but not under the same pressure. The only pressure water has in a stream is gravity. This is significantly different than water being pushed upward against the gravitational pull. I hope I didn’t loose you there. My point is that energy is a flow. Scientifically, we take pictures of the different states trying to understand the nature of the flow. But when you put the flow into action what you see that it is a repeating pattern. What is unique about the examples of these two types of water flows is the process. Artesian water tastes different than stream water. Water, as a compound, is the same in both examples, but the process is different. Water picks up or even carries other energies within it. If you really want to have fun, this is true when a electron within a molecule jumps from one element or molecule to another. Here’s where I’m going nothing is pure into itself. Everything is interconnected. We can test and measure water if it came from an artesian well or it came down a stream. Further, we can determine what stream it came down in the same way we can identify the person who touched a coin with a cut finger. There are specific patterns or characteristics associated with flow of the energy. I’m describing all of this physically so that you might also recognize the same patterns spiritually as it relates to psychometry. A silver bracelet worn on a body will indeed retain certain physical characteristics in the same way a film was left inside my goldfish bowl. This is true physically as is it esoterically. I guess one way of describing the difference between the physical versus the spiritual would be the thickness of the film. Physically; under a microscope you can see body oil, skin, perhaps you can even smell an odor. (i.e. perfume.) Spiritually; you might see patterns, they could be geometric, abstract, or there might be light trails like you’d see by someone running at night with a freshly lit sparker at the fourth of July. Everything has a signature. People have a signature. Currently we use names to identify ourselves but our energy signature is a much more accurate means of saying this is me. This energy signature can be deposited on items or things. Therefore, reading the energy off of someone’s wedding ring is more probable than a whim. Truthfully, this psychometry is very hard to describe. How would you explain music to someone who is deaf? Not only are there an infinite number of instruments there are an infinite number of sounds and patterns in which to arrange the songs. Some songs may be instrumental and some with vocals. My purpose in speaking on psychometry is to create awareness in how you can read the flow of energy left on objects. For some of you it may come very easy. For others it may seem like an extremely complex language that you can’t even begin to understand. In this moment, just stay open and don’t make the concept complicated. As a real simple primer to your experimentation with psychometry, clear yourself first. As if you’d wash your hands to handle something delicate that you were inspecting, do the same here. Sometimes, I actually do wash my hands. Not to just clean them of the germs but to use the soap and water to neutralize any other energies that I’ve previously touched. If you don’t have soap and water, use the air to consciously remove any “other” energetic debris. This is done with conscious intention of being clean, or another way of saying it, would to be neutral –energetically speaking. Then pick up an object, preferably one that might have an abundant amount of history. For example, my great grandfather, of whom I never met on my dad’s side, had a whole storeroom of tools he used every day. My great grandfather’s tools have years and years of his energy associated with it. An object of “history” of this kind can be easier to read because the energetic film is thicker. Again, think of the film you can positively see on a fish bowl. I’m only suggesting that you start with objects with history because they can be easier to read. When you touch the item, touch it with intent. Remain the receiver to get any messages or feelings, images or even tastes that you might pick up. If I picked up one of my great grandfather’s tools and I had the taste of tobacco in my mouth I would want to learn more about the tobacco. Did he chew? Smoke cigarettes? Cigars? Or maybe someone smoked in the same room as my great grandfather while he used his carpentry tools? Maybe it would be helpful for you to pet or stroke the item that you’re trying to read? For me, this is distracting so I don’t do it because it evokes an overstimulation of the physical touch. But you should try it. Experiment and see what comes in for you. You might want to also experiment with psychometry with an object where someone knows the history of item. I may hand you an article that I’m very familiar with its history. This would allow me to assist you, in offering you confirmation one way or another, after you read the item. I may hand you a ring. After you hold it, you may determine it was mine. Or that I made it. Or that I made it in collaboration with my best friend in High School. All of this information is energetically on the ring. Most people are much more sentient than they think that they are. That is, they can feel. Sensing or feeling energy is subjective so stop thinking that it’s all about doing it “right” versus doing it “wrong.” This is also true in feeling objects or things through psychometric gifts. When you receive information, which can also come clairvoyantly in still pictures or in fluid film, just let it come. In tuning into an object, some individuals receive a complete dialog all at once and other times it may come in a little piece here and there. Even if the information comes in piecemeal form just let it come. The world of psychometry is truly immense. Today, I’ve but barely introduced you to the subject. If you are empathic you may find getting messages from a saddle hanging in an old barn to be strangely familiar. Assuming you don’t ride, you may find a lot of information about the horse AND the rider. In conclusion, it’s my continued desire for you to play with psychometry in your ability to receive information about clothes, possessions, jewelry, leather goods and so much more. Imagine getting information in story form about a person’s life because you once held their watch. It’s truly fun to participate in reading the flow of energy. Welcome to the world of psychometry!